Action Hero Muscled Man Holding A Gun. Wearing Black T-shirt.. Stock Photo, Picture And Royalty Free Image. Image 28895519. 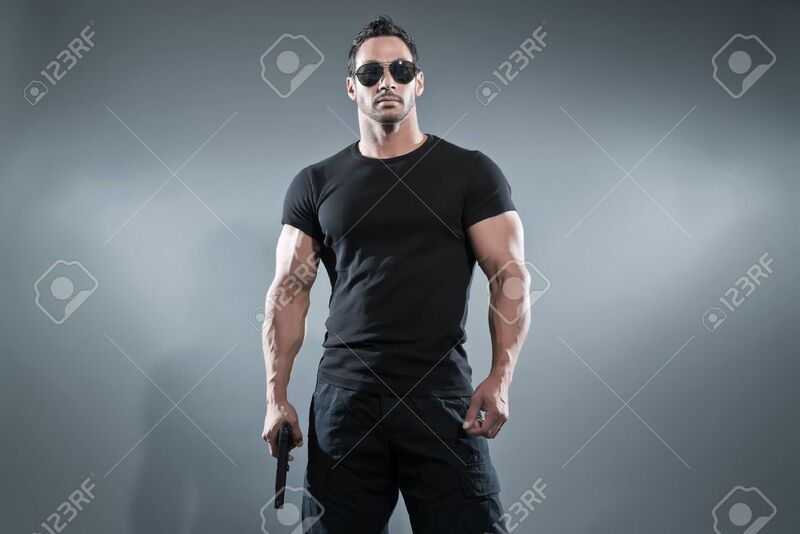 Stock Photo - Action hero muscled man holding a gun. Wearing black t-shirt with pants and sunglasses. Studio shot against grey. Action hero muscled man holding a gun. Wearing black t-shirt with pants and sunglasses. Studio shot against grey.